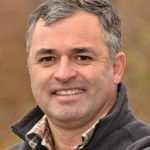 Mario is American Fruit Grower® and Western Fruit Grower® magazines’ resident expert on Spanish horticultural training, technology, and innovation. He is a Fruit Extension specialist with the Cornell Cooperative Extension Lake Ontario Fruit Program. Use this guide to help you determine whether multileader production is a good fit for your farm. Follow these suggestions to make the move from a 3-D spindle-shaped canopy to a 2-D system using mechanical pruning. Use this practical precision pruning exercise to help you and your employees. Mechanical hedging can save you time and money, while increasing light into your canopy. Help more young fruit growers attend important industry events, such as the International Fruit Tree Association’s annual conference.